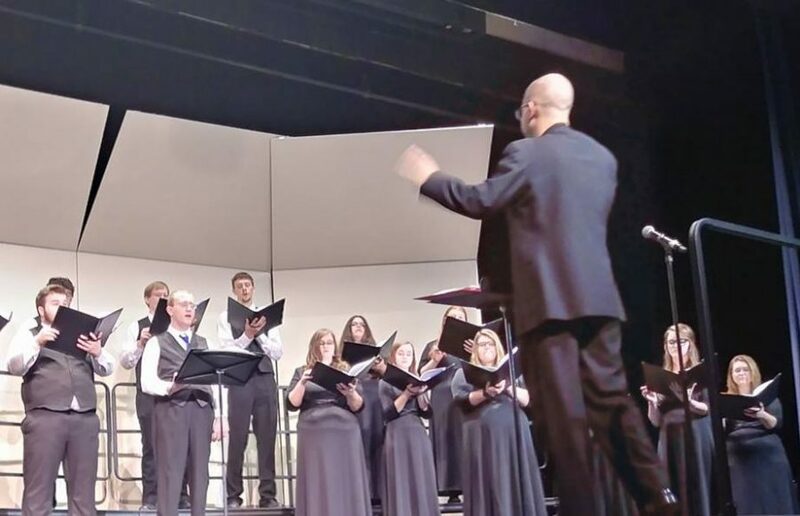 On Oct. 15, Lakeland Concert Choir performed their first concert of the year. Choir instructor John Guarente promised the audience an eclectic performance, which was reflected by the piece selection. The repertoire featured a variety of pieces, from “Tshotsholoza” arranged Jeffrey L. Ames to “Quiet” by Connie Lim, from “A Legend” by Pyotr Ilyich Tchaikovsky to “Come Again, Sweet Love” by John Dowland. The concert featured eight songs in total. The Lakeland Concert Choir has another concert on Dec. 8. The choir plans to tour throughout Wisconsin during the spring semester.